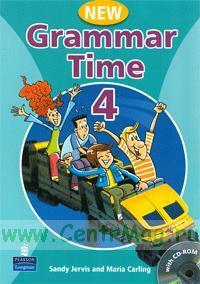 NEW Grammar Time is a series of full-colour grammar reference and practice books. Combining fun-loving cartoon characters and lively content with clear explanations and plenty of practice, NEW Grammar Time is ideal for younger learners. From beginner to intermediate level, NEW Grammar Time can be used successfully with any coursebook.